Ahead of the Indian Men’s Hockey Team’s departure for the 28th Sultan Azlan Shah Cup 2019 in Ipoh, Malaysia, Skipper Manpreet Singh and his compatriots expressed their eagerness to compete in the first marquee event of the year. “It’s the first tournament of the season and naturally we are quite eager to make a positive start as it will give us the right momentum ahead of the FIH Men’s Series Finals Bhubaneswar Odisha 2019. We have worked really hard in the camp, often training at noon to get used to playing in the hot and humid weather conditions that we are going to experience in Ipoh,” expressed Manpreet. India begin their campaign against Japan on 23 March 2019 and will be looking to continue their winning form against the Japanese side who they last met during the Hero Asian Champions Trophy last year. “We will be playing the Asian Games Champions Japan in the opening match of the tournament and we will have to be at our best to beat them. We have a lot of youngsters in the team, it will be a great test for them and us as a unit,“ stated Manpreet Singh who will be leading the team along with Vice Captain Surender Kumar. The Indian team will play their second game against Korea on 24 March 2019 while they play their nemesis and Asian Games Silver Medalist Malaysia on 26 March 2019. “Though we are the highest ranked team in the tournament, we cannot get ahead of ourselves and have to take one match at a time rather than thinking directly about the Final as we have some tough encounters to begin with. Each step is important and the objective will be to ensure that we come out victorious in all our matches,” he added. Manpreet believes that Odisha Hockey Men’s World Cup Bhubaneswar 2018 was a major learning step for the team and many players who have been given a chance are in a better position to handle pressure situations. “The World Cup was a great learning for all of us. Though, we weren’t able to go beyond the Quarter Final, I believe the world took a note of the immense potential of a young team who played with all their heart. At this camp, we have looked back at our mistakes and have also tried to develop some new combinations that can help us improve our game. We are confident of our chances of winning but don’t want to get complacent,” he said. 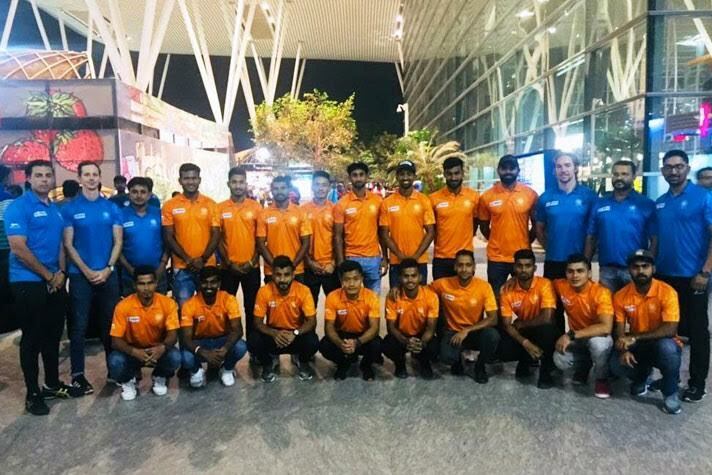 The Indian Team left for Ipoh, Malaysia from Kempegowda International Airport, Bengaluru on Sunday night. CLICK HERE for revised schedule.